R&M – This year’s DatacenterDynamics Europe event, held in London, R&M released R&MinteliPhy 4. Like previous releases, integration of the RFID-based R&MinteliPhy platform offers users real-time visibility into the physical network infrastructure that connects IT assets in the data center. In addition, this latest release enables 3D modelling and rendering, reporting based on historical values of objects and changes made to objects, multi-factor TOTP authentication and automated cable length calculations. R&MinteliPhy 4 features a number of enhancements to the software suite, such as user authentication via multi-factor TOTP authentication, reporting based on the historical values of objects and changes made to objects, and the ability to record splicing tasks with work orders. “Managing and documenting network connectivity is one of the toughest problems to solve in the data center. R&MinteliPhy 4 combines proven RFID sensing technology, which has been deployed in hundreds of thousands of ports, with a new level of automation and comprehensive insight into how network connectivity is documented, managed and optimized as a strategic business process,” said Stefan Gratzer, Chief Technology Officer (CTO) at R&M. The R&MinteliPhy management and monitoring system empowers Infrastructure and Operations Managers to monitor all physical connectivity in real time, regardless of location. RFID-based R&MinteliPhy hardware monitors connections, racks and distributors on site. Off-site IT administrators can monitor all areas of the company network or entire local data networks for clients without interruption. R&MinteliPhy can also be linked with geographical information systems (GIS). Using R&MinteliPhy’s real-time asset and connectivity information, customers can optimize the capacity of their infrastructure by identifying and eliminating unused network and patch panel ports. 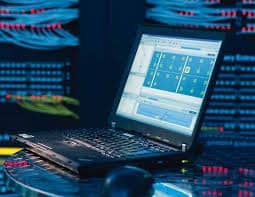 The solution can minimize the mean time to repair and enhance network availability by localizing connectivity issues, such as unscheduled changes, which may result in downtime. New or adapted processes can be ensured by leveraging R&MinteliPhy’s guided work order administration, real time information updates and patching and splicing jobs. R&M simplifies AIM user experience for better Connectivity Management 0 out of 5 based on 0 ratings. 0 user reviews.